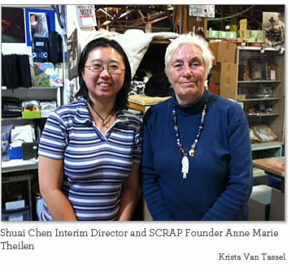 Let’s hear it for Asian Female Nonprofit Leaders! Have you ever wanted to be a nonprofit executive director? Curious about how other people got to the top? In honor of International Women’s Day, check out some of the stories of the women below. Today’s post is all about fantastic Asian Female Nonprofit Leaders! Before you say, “But what about African American Nonprofit Female Leaders,” I profiled a few here. And what about Hispanic Nonprofit Female Leaders? Okay, you got me, I haven’t done that blog post yet! But I WILL! Now, let’s hear it for Asian Female Nonprofit leaders! Andrea Louie is Executive Director of the Asian American Arts Alliance (a4), providing strategic direction for a4 as it approaches its thirtieth year of supporting Asian American artists and arts/cultural groups, and building the pan-ethnic, multidisciplinary arts community in New York City. She is the author of a novel, Moon Cakes (Ballantine Books) and coeditor of an anthology, Topography of War: Asian American Essays (The Asian American Writers’ Workshop). Andrea is a recipient of a New York Foundation for the Arts fellowship, the Hannah S. and Samuel A. Cohn Memorial Foundation Fellowship, and a Ludwig Volgelstein Foundation grant. 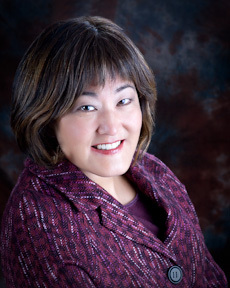 Mari Watanabe is the Executive Director of the Oregon Nikkei Endowment (ONE), a non-profit that preserves the history and culture of the Japanese Americans in Oregon. Appointed by Oregon State Governor Kitzhaber in May 2011, Mari serves on the Oregon Commission for Asian and Pacific Islander Affairs (OCAPIA). Lisa Hasegawa, Executive Director, National Coalition for Asian Pacific American Community Development: Since 2000, Lisa Hasegawa has led National CAPACD’s efforts to be a powerful voice for the unique community development needs of Asian American and Pacific Islander (AAPI) communities. She is the former Chair for the National Council for Asian Pacific Americans and currently serves on the Board of the National Low Income Housing Coalition. In 2003, Lisa was a Fellow in the Rockefeller Foundation’s Next Generation Leadership Program. Gladys Chen, President, 2G., an Asian American Theater company that creates contemporary, world-class Asian American theater that reaches across cultural, generational and racial boundaries. Ms. Chen has been involved with 2G since 1997 and holds a Masters of Business Administration from Wharton School of Business and a Masters of Public Health from the Johns Hopkins School of Public Health. 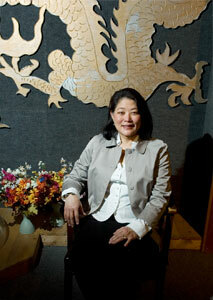 Beth Takekawa, Executive Director of the Wing Luke Museum of the Asian American Experience. Kim-Yen Huynh, Founder/President, Asian American Business Women Association in Orange County. She is also Sr. Vice President/Marketing First Vietnamese American Bank, Vice President/Chair: Public Relations Committee Vietnamese-American Chamber of Commerce in Orange County (VACOC), Founder/Board Director Orange County Presidents Council (OCPC), Vice President/Board Director Vietnamese American Medical Institute (VAMI) and Advisor – WORLD MARTIAL ARTS. 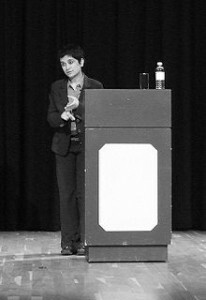 Abha Pandya CEO of Asian Human Services: joined AHS as Executive Director in 1994, and was named CEO in 2004. Under her leadership, AHS has grown from a staff of six with an annual operating budget of $270,000, to its present size and scope: an operating budget of $11.5 million in the current fiscal year, and a staff of 105. Ms. Pandya is a visible advocate for Asian and other immigrant and refugee communities in Chicago, especially in the areas of equitable distribution of resources, and access to linguistically and culturally-appropriate services. And lest you think this blog is ONLY about America, I’ve thrown in some Asian Female Nonprofit leaders from England too! Camila Batmanghelidjh is an Iranian who has founded two charities, The Place 2be (The Place2Be is a charity working inside schools to improve the emotional well-being of children, their families and the whole school community.) and Kids Company (Providing practical, emotional and educational support to vulnerable inner-city children in London). 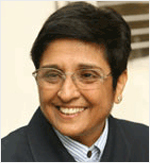 Kiran Bedi joined the Indian Police Service in 1972, becoming the first woman to do so. She instituted police and prison reforms so sweeping that she became Director General of India’s Bureau of Police Research and Development. In 1987 she founded Navjyoti India Foundation. The organization works in Resettlement Colonies of North West Part of Delhi in Education, Women Empowerment and Vocational Training. Navjyoti also focuses on health care, environment interventions and community participation are also being run for promoting integrated community development services. In 1994 Bedi set up India Vision Foundation which works in field of police reforms, prison reforms, women empowerment and rural and community development. I could GO ON… but this blog post has to stop sometime!